These are my favorite 4 free samples offers that you can request right now! They aren’t brand new offers, but I wanted to make sure that my new readers don’t miss them. Walmart – The best source of free samples, companies give Walmart thousands of samples to send out in their free sampling program. Sometimes these are even full-size products! All you have to do is find a sample you are interested in, and fill out the request form. The offers change daily and I like to round them up in my Wednesday feature called “Walmart Freebies“. Walmart uses StartSampling to administer their sampling program. They are also the quickest to mail their free samples, I typically get mine within 2 weeks of requesting them. Quaker Simple Harvest Granola Bar – Sorry, this sample is no longer available. Quaker would love to send you a free granola bar to try their new granola bars. You’ll be surprised with one of three flavors. This offer comes directly from Quaker, but is administered by StartSampling. You should get a $1 coupon along with your free granola bar. Fiber One Cereal + Bar – Sorry, this sample is no longer available. Request a sample of the Fiber One Honey Clusters cereal and a Chocolate Oats Bar directly from General Mills, the company that makes this product. You’ll also get several coupons with your sample. Yogi Tea – Sorry, this sample is no longer available. You can request a sample of 3 new tea flavors from Yogi Tea. My tea sample came with a coupon to Save 50 cents which I then used at Kroger on a flavor of Yogi Tea they had marked down for $1. Since my Kroger doubles my 50 cents coupons, I got the box for FREE! I finally got my Yogi Tea sample (they look great, can’t wait to try them!) yesterday, January 13th. Unfortunately, the coupon for $1 off that was included expired 12-31-2008. Darn. I can’t seem to find how to get the fiber one samples. Help, please? Thanks for sharing the great freebies! Im having trouble getting the Fiber one cereal it keeps saying i need to verify my email but i dont see a spot to do this, can you please help ? I encourage you to talk to your Walmart store manager (not the floor manager) about using printable coupons there. And you need to call corporate to follow-up and express how you feel about your store not following the corporate policy to accept valid printable internet coupons. The Walmart in my area(Glen Allen VA) will not accept printed coupons. I even spoke with the manager on duty that day. My husband saw you on Inside Edition and insisted that I go to your website right then and there.I’m glad I did. Nice job! 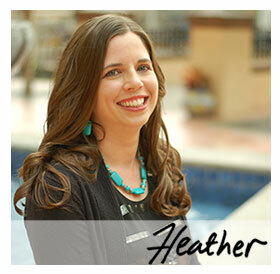 Hey Heather…I saw your piece on Inside Edition and want to thank you for the helpful info. I am always looking for a bargain. And free is even better!!! Saw you on Inside Edition & clicked here immediately! What a fun & thrifty site! I've already shared it w/friends. I saw you Inside Edition today. kudoos for sharing!!! The best store for continuous bargains? It would be different for everyone depending on where you live and what you’re shopping for. I will say that where I live Walmart seems to have the lowest prices (in general) and largest selection. But again, it is location-specific and depends on what types of bargains you are looking for. What is the best store for continuous bargains?Any recommendations? Hi Heather! Thanks for posting a comment – I don’t think I’m eligible to win again because you have to print the coupon, and it will only print once. Maybe it would be a different link, but I don’t know. I looked at the website, and I don’t see a “rules” link anywhere.